In the era of uncertainty created by digital disruption and the 4th industrial revolution, how can leaders create the breakthroughs that will allow them to prosper? Professor Nathan Furr — a recognized expert in the fields of technology strategy, digital transformation and disruptive innovation — explores how leaders can effectively manage the uncertainty they face. His work unpacks both strategy fundamentals of new technologies and how to cross the divide with innovation, by developing the people, process and philosophy that will allow an established company to reinvent itself and a young firm to flourish. Furr has written and spoken extensively about the secrets of successful innovation. He begins with a prescription for engineering change and leading transformation from within. The problem with many companies, he says, is they lack strategic vision and an ability to make all employees – from the C-suite to assembly line workers – believe they are helping to change the world. Furr’s concept of “behavioral innovation,” the subject of his new book “Leading Transformation: How to Take Charge of Your Company’s Future” (Harvard Business Review Press, November 2018), is an exercise in storytelling. His expertise is in constructing a vision of the future that imagines how existing problems and shortcomings can be solved. Furr uses the example of companies hiring science fiction writers to compose stories about technology improving consumers’ lives, and then working backward to make those ideas a reality. Based on personal interviews with leading innovators and analyses of corporate success stories, Furr’s behavioral innovation approach is ideal for a company looking to sharpen its creative edge. Furr has also focused on how those who are already visionaries can win the investment and support needed to make their dreams become reality. After their classic book on how established companies can create new growth through innovation, The Innovator’s Method (2014), Furr and co-author Jeff Dyer teamed up again to explain how to win the support to turn those ideas into reality. In “Innovation Capital: What Distinguishes the World’s Most Innovative Leaders,” (2019) Furr and his coauthors explain the specific tools that are needed to build “innovation capital” – the ability to marshal the human and financial resources necessary to bring about huge breakthroughs in business and technology. By leveraging “innovation amplifiers,” like the ability to cultivate relationships with key players in one’s industry and the wider media, business leaders can build reputations that, over time, make it easier and less costly to undertake risky gambles in developing new products and concepts, the hallmark of technology and business pioneers from Thomas Edison to Jeff Bezos. More broadly, Furr focuses not just on how companies can survive digital disruption but become the next Amazons and Teslas, the ongoing subject of Furr’s and Dyer’s acclaimed Forbes blog. 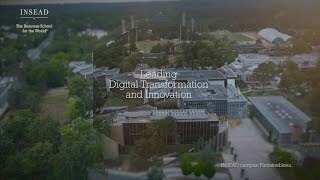 Furr leads INSEAD’s technology strategy, digital transformation and innovation courses. He is the founder or advisor to numerous corporations and startups in the health care, clean technology, professional services, internet, retail and financial services industries. Furr regularly advises corporations, such as Johnson & Johnson, Sony and Google, on making transformational leaps by shedding outdated corporate cultures and habits. He has also worked closely with clients to help them transform their innovation efforts, including, AT&T, Telenor, Kimberley Clark, Pernod Ricard, Deloitte, and many others. Based on decades of research understanding the world’s most innovative companies and leaders, Furr explains through speaking and writing the fundamentals of disruption, digital transformation, and innovation. His research has appeared in Harvard Business Review (articles include “Multi-party Innovation,” “Transitioning Your Company from Products to Platforms,” “The Prius Approach: Hybrid Technologies,” and “Leading Your Team into the Unknown”), multiple books, including “The Innovator’s Method“ (Harvard Business Review Press, 2014) and “Nail It then Scale It” (NISI Institute, 2011), and other articles appearing in Sloan Management Review, Forbes, and Inc., as well as in academic outlets, such as Strategic Management Journal and Organization Science. Furr earned his doctorate from the Stanford Technology Ventures Program at Stanford University. Nathan Furr is available for paid speaking engagements, including keynote addresses, speeches, panels, and conference talks, and advisory/consulting services, through the exclusive representation of Stern Speakers, a division of Stern Strategy Group®. Creating transformative change in big companies may be a leader’s hardest task due to the eternal human tendencies toward incrementalism, habit, and fear. Yet, in the turbulent environments organizations face today, change has become an imperative. The more a company clings to established methods and practices, the more it is at risk of destructive disruption. 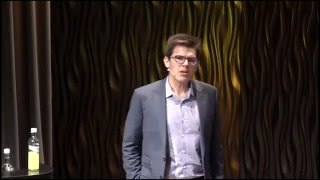 A central question of management is thus: “how do we overcome the cautious habits of large corporations to bring about necessary change?” In “Leading Transformation: How to Take Charge of Your Company’s Future,” Nathan Furr argues that the answer lies in addressing these behavioral limitations with tools designed to overcome our natural resistance. Employing more recognizable tools like strategic narrative and artifact maps, as well as some more radical ideas, such as using science fiction writing and comic books, Furr helps companies envision what they could be and get moving. Based on processes applied and proven with Google, Pepsi, Lowe’s and others, Furr describes how leaders can envision valuable new futures and do something meaningful about it. Developing world-changing ideas is only the first step toward making an impact; one must also be able to persuade others to commit their own resources, by convincing them that such ideas are feasible and truly transformative – as well as profitable. 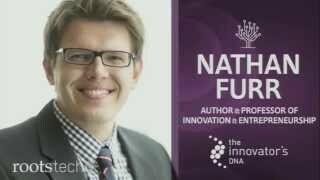 Nathan Furr calls this missing piece of the puzzle “innovation capital,” the ability of great innovators to marshal human and financial capital to implement and commercialize ideas. But even legendary innovators like Elon Musk or Jeff Bezos, who consistently win support for even seemingly outlandish proposals, build up innovation capital over time. Creativity is just the starting point; they must also be great communicators and networkers capable of cultivating relationships with key players in their industry, and of successfully promoting their accomplishments with the wider public. These “innovation amplifiers” can be summed up as “Who You Are, Who You Know, and What You Do.” In this presentation, based on his upcoming book co-authored with Jeff Dyer, “Innovation Capital: What Distinguishes the World’s Most Innovative Leaders,” Furr describes the process of leveraging these amplifiers to build up innovation capital over time, so that one’s ideas can go straight from the drawing board to reality without the painful process of rejection and financial failure. As we undergo what Nathan Furr calls the “4th Industrial Revolution” – that of digital disruption and its related technologies – leaders are increasingly pressured to innovate as digital opportunities create new points of vulnerability, new competitors and new processes. 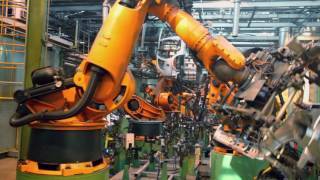 Although disruption has long been a threat for some sectors, the rise of digital technologies has accelerated the pace of disruption in virtually every industry, creating immense uncertainty. But what does digital transformation mean and what do leaders need to know to succeed? 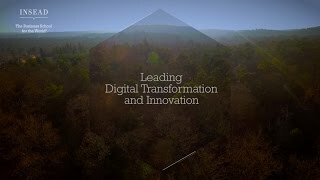 A new way of life, digital transformation means doing the things you do differently and doing different things. Furr, who has advised large and small enterprises in this process, says it is much less frightening and much more within reach than many leaders realize. But how? 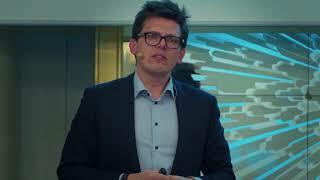 In this presentation, Furr provides new lenses through which to view how digital transforms the “back stage” (your resources and activities) and the “front stage” (products, services and interactions with customers) of your firm and how to approach the three new themes of digital transformation: platforms, ecosystems, and digital business models. In a digital world, platforms are both more common and more valuable. Five of the world’s most valuable businesses are platforms, and platform-based businesses consistently outperform traditional product-based business models by a factor of seven. But most firms have products or services; not platforms. 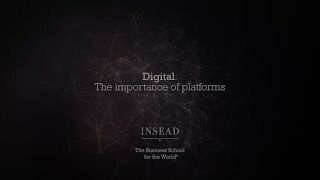 How can firms make the leap to a platform? Professor Nathan Furr’s research examines how to turn a product into a platform, multiplying the value of your resources and transforming your business model for a digital era. How do great innovators come up with new ideas and create opportunities in an era of increasing uncertainty and intense competition? By identifying behaviors of the world’s best – from leaders at Amazon and Apple to Google and Skype, and more – Professor Furr outlines the skills that distinguish the extraordinary from the ordinary. He also discusses how to create and lead a culture of innovation throughout an organization, an advantage proven to improve companies’ innovation premium and spur real growth. Drawing on his collaborative innovation research project spanning the last two decades, Professor Furr teaches how organizations and leaders in any sector can apply these insights and tools to solve problems and create new opportunities.